We are pleased to play our part and volunteer our services to undertake work in the community. In 2016, 2017 and 2018 the whole Transcend team spent the day at Acorns Childrens’ Hospice in Birmingham. 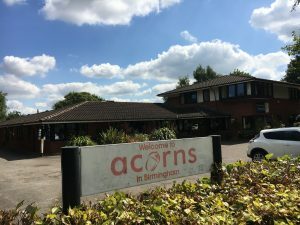 Acorns is a charity that provides care to children and young people aged between 0 and 18 years, with life limiting conditions, along with support for their families. We spent the day gardening, cleaning, tidying and painting. Very different from the “day job” but equally rewarding, and a great opportunity to support a valuable local charity. In previous years we have helped with the redecoration of a local community centre. We are proud sponsors of Moseley Rugby Club. 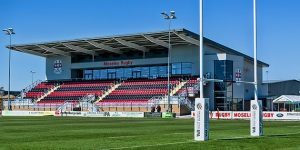 Traditionally the leading rugby club in Greater Birmingham, Moseley’s rich history includes representing Great Britain in the 1900 Paris Olympics, providing nine players to defeat the All Blacks in 1972, being a finalist in the first ever RFU knockout cup and winning the EDF trophy at Twickenham in 2009.